Many of our districts are choosing to roster and/or use a single sign-on method to access Studies Weekly online. It can be frustrating for district personnel because they are not included in the rostering information, thus a teacher account is not created for them and they cannot access the tools the teachers are using. One easy solution is to have this person go around the rostering system and create a teacher account with Studies Weekly. Here are step-by-step instructions to do so. You will now be logged in to your teacher account where you will see the publications the district has purchased. I am an administrator who is wanting to create a teacher account to be able to view the tools the teachers are using. When I tried to create a teacher account for myself I received the message saying there was already an account associated with my email address so I was unable to create a teacher account. 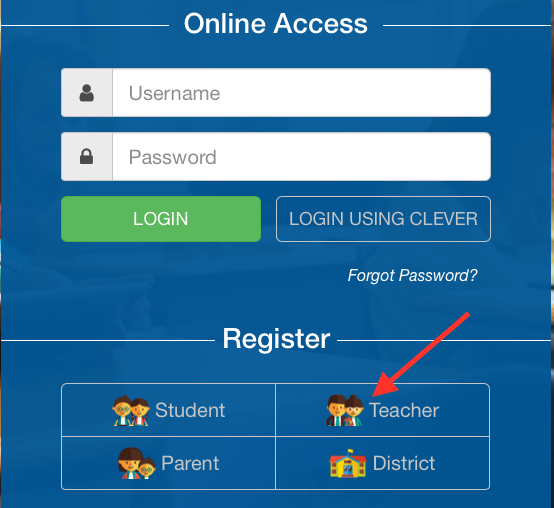 Online accounts use your district email address as the username. You already have an account created with that username, so it will not allow you to create another with the same username. We can probably make the existing account work for what you need. The best way for us to help you is to know your district email address. Please call support at 866-311-8734 or email support@studiesweekly.com to give us that information so we can resolve this issue. We look forward to hearing from you.